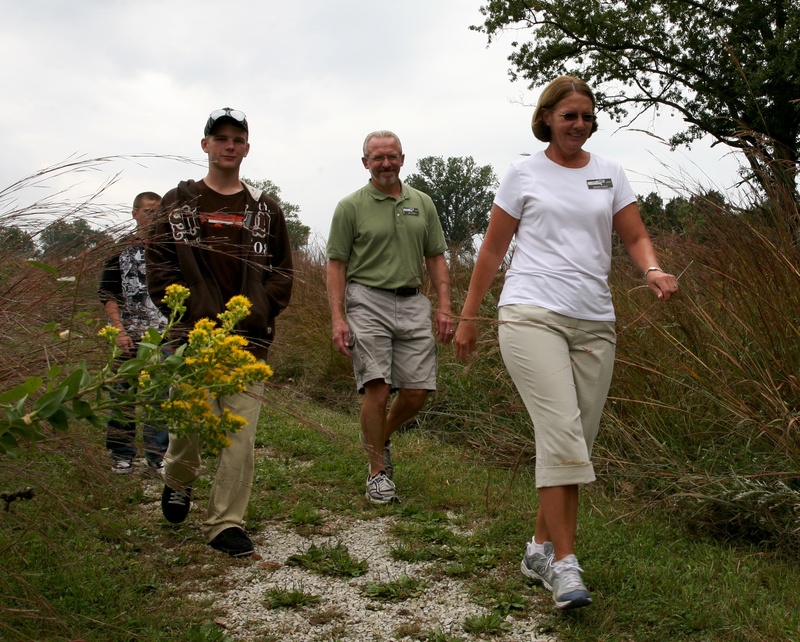 The opportunities for volunteer participation at Shaw Nature Reserve are many and varied. We appreciate your interest in working with us and look forward to hearing from you. We are very happy to share Shaw Nature Reserve with you! Ecological Restoration: Help collect, clean and sow native seed or help remove invasive brush from our woodlands and glades during our weekly workdays. Activities vary seasonally. On the job training given. Email restoration@mobot.org for more information. Horticulture: Work in the Whitmire Wildflower Garden includes seed collecting, greenhouse propagation, planting, and maintenance of the garden. Volunteers are also needed for plant sales, special events, and data entry. On the job training is offered. Teacher-Naturalist: Teach children outdoors, September through May. Classes are hands-on with a focus on sensory awareness and ecological concepts. This work involves a minimum of one day per week during the school year and a monthly training session. Initial training is given and required. Public Programs: Teach or assist with family programs, adult programs, young children programs, and events such as Prairie Day and the Daffodil Dash 5k Trail Run. Program topics include wild edibles, kayaking, Dutch oven cooking, gourd crafting, night hikes, photography, and more. Programs are year-round and primarily outdoors. Initial training is given and required. Tour Guide: Conduct tours of Shaw Nature Reserve on an as needed basis. Training is offered seasonally. Building Maintenance-Carpentry: Assist the Construction Manager with a variety of construction and maintenance projects. Help maintain all structures on the grounds. Jobs might include painting, window and door repair, building shelves and other shop work in a fairly well-equipped wood shop. Knowledge of building trades and/or woodworking is helpful. If you are interested in volunteering at Shaw Nature Reserve, please complete an application to be considered for a volunteer assignment and we will contact you.